This weekend has been far less debauched than usual, and whilst I opted to stay in with my family this weekend, I have had an absolute hoot in the kitchen. Over the years I have been extremely fortunate and have travelled near and far; acquiring a more than adventurous palette. Experiencing foods from a different country or culture is a must and whilst this is a VERY simple recipe that we all know and love, I couldn't help but share with you one of my favourites. THE CAPRESE SALAD... this is genuinely my answer to that dreaded question 'What is your favourite food?' HOLD UP! Firstly - what sort of a question is that? There are 196 countries in the world, and it is impossible to say how many different types of food there are available. OK, so you can tell that I am incredibly (if not appallingly) indecisive when it comes to food. NOTE: Google menu before date. 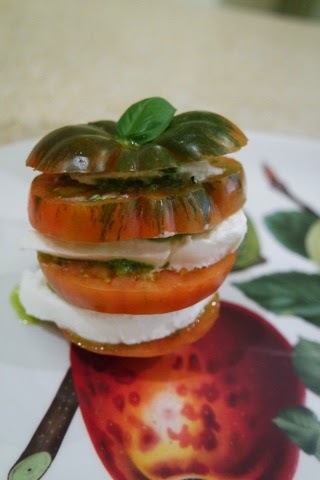 Anyways back to the subject of favourite foods... every time someone asks me, The Caprese Salad just pops into my head! HOW BORING! Realistically, all it is, is a bit of tomato and cheese, right? Ordering this at your local Pizza Express is hardly going to give you a taste of the finest flavours (sorry but that really is just a bit of tomato and cheese) or transport you to Capris, Italy. 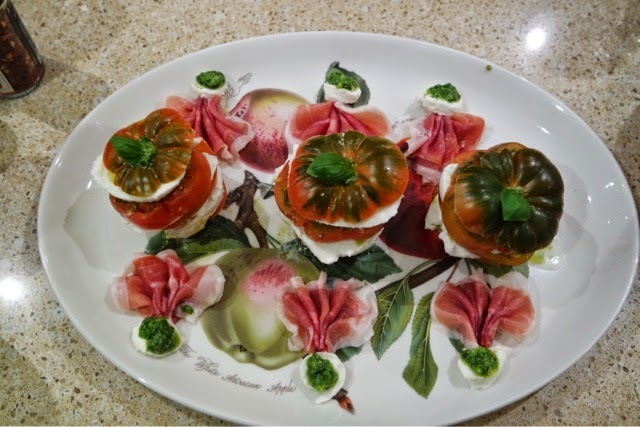 I am talking about a proper Caprese Salad, and no you don't have to be in Capris to experience it, in fact you can do this from inside your very home! Although, if ever you have the chance to visit Capris, DO order it, trust me it lives up to its name and its origin...nom nom nom! This means making it properly (and with love of course) with the finest bufala mozarella and tomato's bursting with local flavour (the tomato's in the South of France and Italy are just undeniably the best in the world), it is fresh, flavoursome and filling. So actually I think it's not a bad choice after all...looks like all those summers in Italy and the South of France paid off! Buon Appetito! 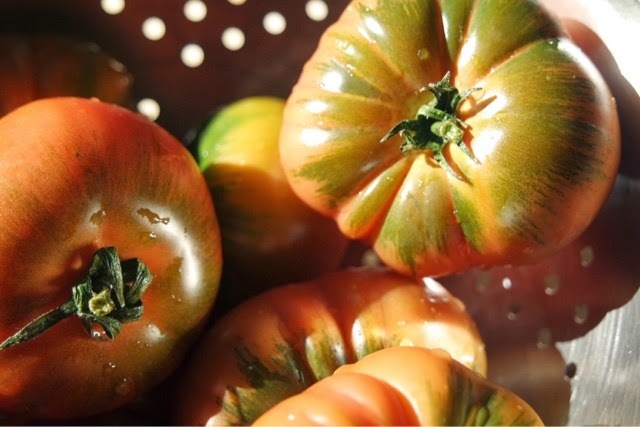 I opted for Marmonde Tomato's, harvested green for fuller flavour, they are perfect for a Caprese Salad. 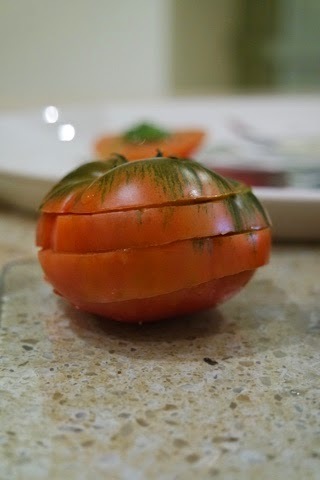 Marmonde Tomato's are a Mediterranean tomato and are available in Waitrose. 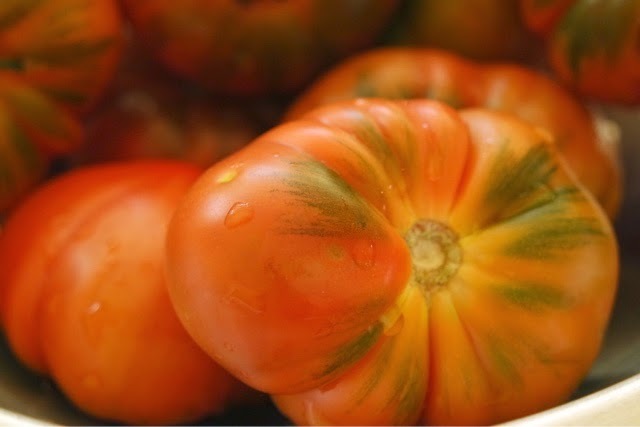 They are harder than your average soft, supermarket tomato, this adds texture and intense flavour to the dish. If you are throwing a dinner party or looking to impress someone special with these leaning towers, you will need these FO SURE! I also made my own homemade pesto drizzle, except I didn't use pine nuts and I improvised! It's easy peasy lemon squeezy! 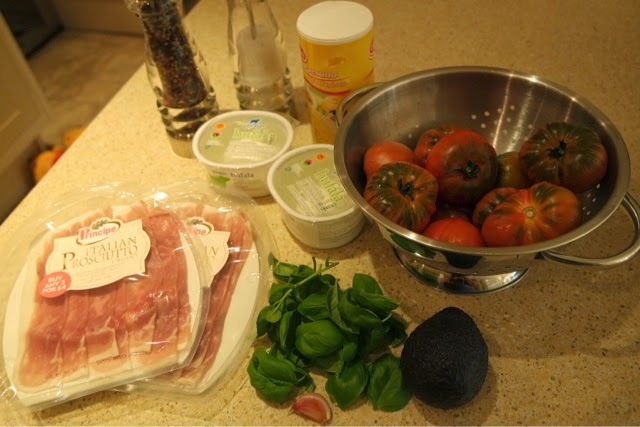 OK Dolls, lets start with the PESTO DRIZZLE or paste! 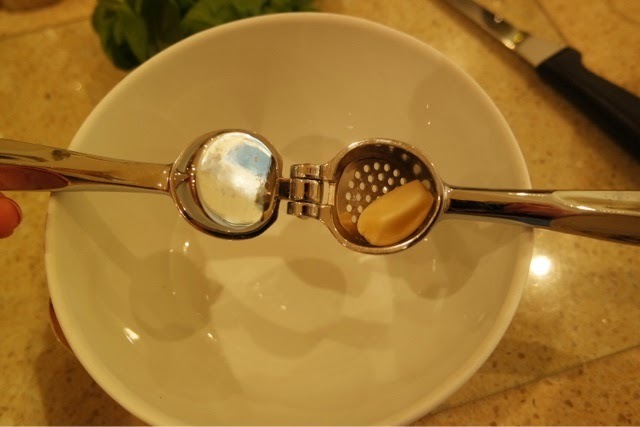 Firstly, crush 1 clove of garlic into a bowl. 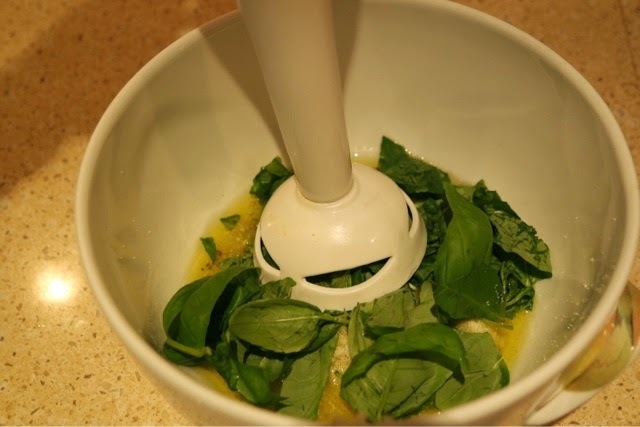 Add the Basil infused olive oil, Parmesan, basil leaves and blend together with a handheld processing, blending blade. Zzzzzooooshhhhhhzzzzz! This takes approx. 2 mins. To make it runnier, add more oil, to make it like more of a paste, add more Parmesan. 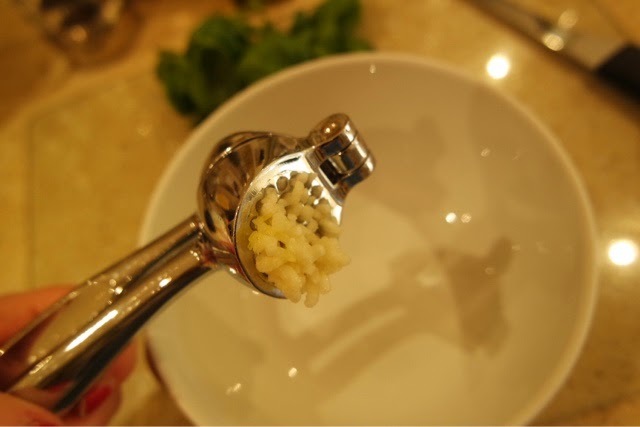 Squeeze the lemon into the bowl and add cracked sea salt and pepper to taste. Now it's time to build your towers...BEWARE...they lean! Think of Jenga and be strategic. 2. 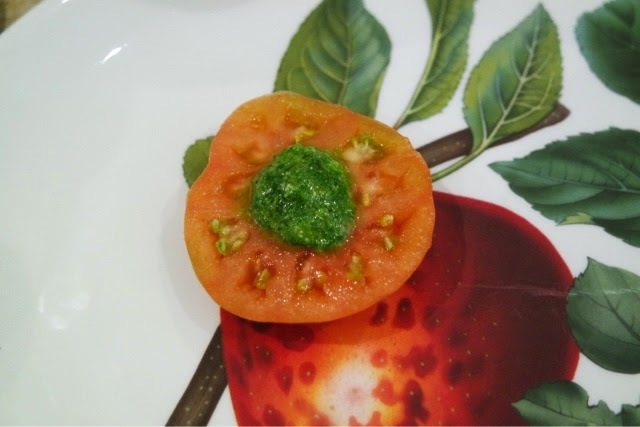 Take the bottom slice of the tomato and place on your serving plate, add a splodge of your pesto paste. 3. Slice the Bufala Mozarella. HOLD UP! This is far softer than your usual Mozarella, so grab a smaller sharp knife, gripping the mozarella ball, gently slice moving the knife back and forth as opposed to just pressing down. You want to get the slices as round as together as possible. PRESENTATION IS EVERYTHING DOLLS! 4. 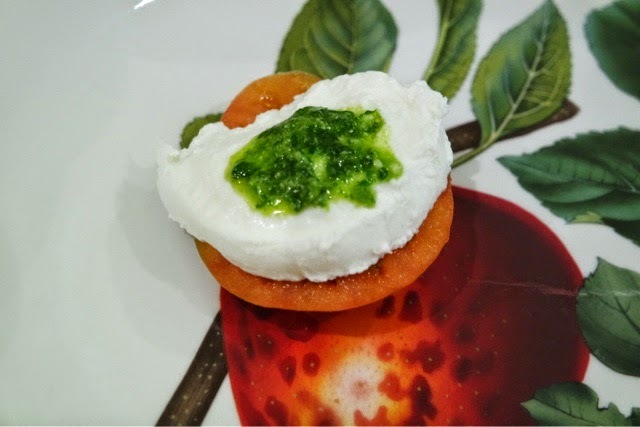 Pop a slice of mozzarella on top of the tomato, and pop another splodge of pesto paste on top. 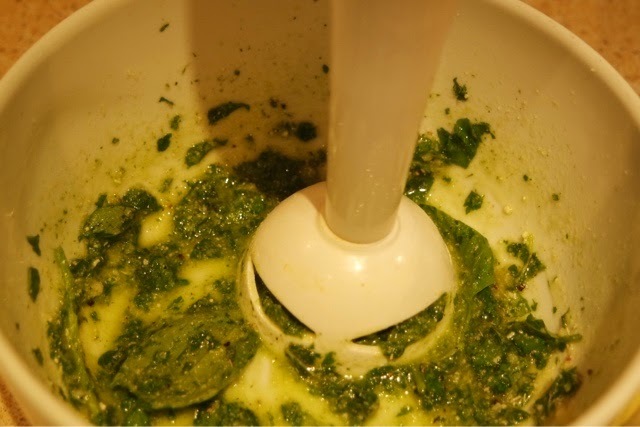 When building your towers, try and keep the pesto in the middle and try not to fiddle too much as the more you spread it, the more slippery it becomes and when they lean to much...THEY COLLAPSE. This can ruin your presentation, be delicate and patient and try and structure them around their shapes etc! They'll look Beaut! 6. PROSCIUTTO FANS: Take a piece of sliced Prosciutto and fold it into a fan, I prefer to start from the right and work my way into the left. Place the fan neatly on the plate. 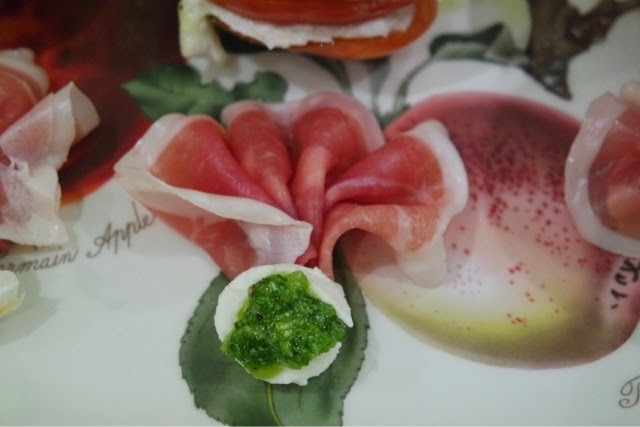 Per tomato (person) there should be a prosciutto fan either side, keep it symmetrical. 7. Take a slice of Bufala Mozzarella and peel off the harder skin, GENTLY (don't break it), from around the edge. Gently swirl it into a.....swirl? 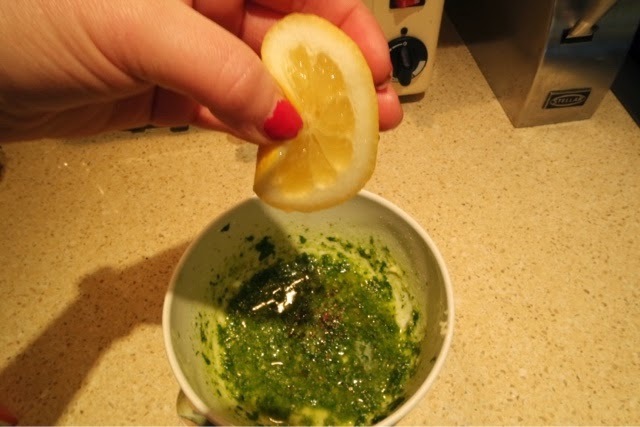 Place at the bottom of the fan and decorate with pesto paste/drizzle (see below). THERE YOU HAVE IT! 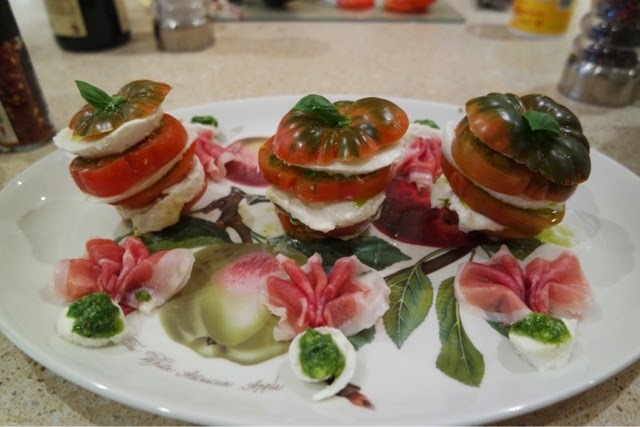 Bea's Leaning Tower of Caprese! Perfect for dinner parties, impress your darling dolls with the presentation and the TASTE! Bellissimo!